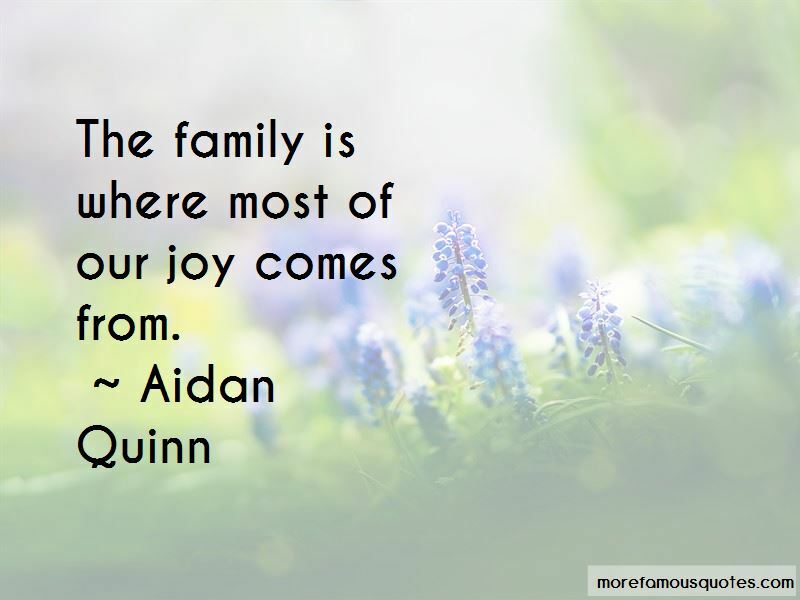 Enjoy the top 27 famous quotes, sayings and quotations by Aidan Quinn. 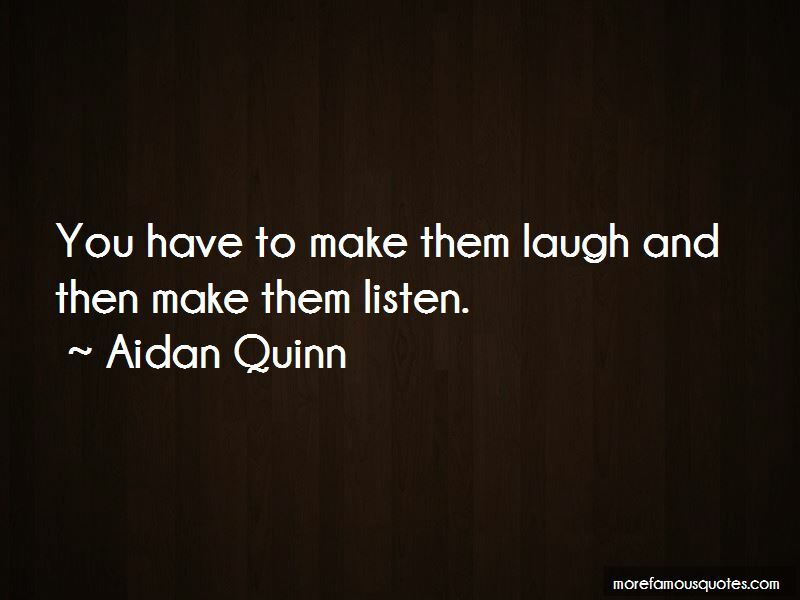 Some actors actually think about what they're going to talk about during the interview - they read up and meditate and plan quotes and get all inspired. It's very smart, but it's so planned. I never think to do that. I mean, I've been stupid in the past, and I've learned from that. I'd sneak out of the house to meet girls at 3:30 a.m. I would love, more than anything, to do an out-and-out farce with huge physical energy. Just because you're from the minimalist school, it doesn't mean you can't go big. There's certainly more work for me in TV these days. I get to do interesting roles and make a living. I loved working with Meryl Streep twice and I've gotten to work with my friend Liam Neeson on several occasions. 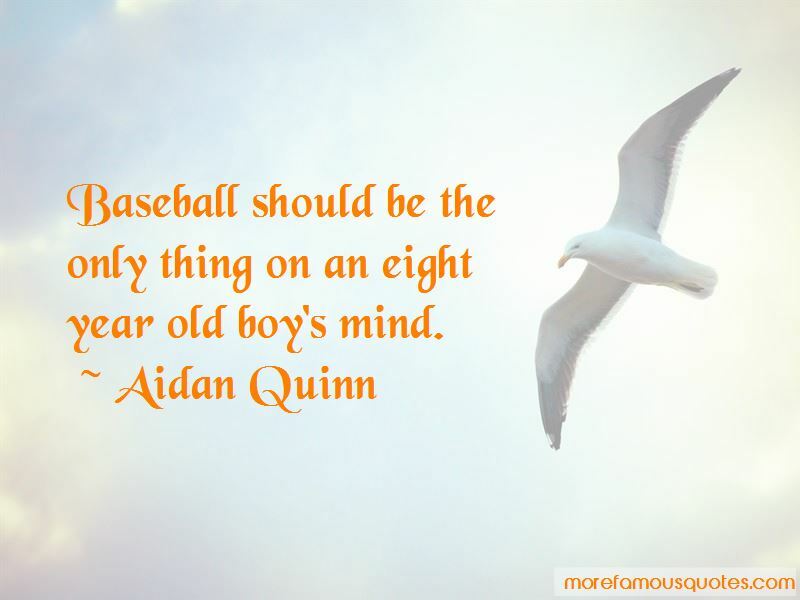 Want to see more pictures of Aidan Quinn quotes? 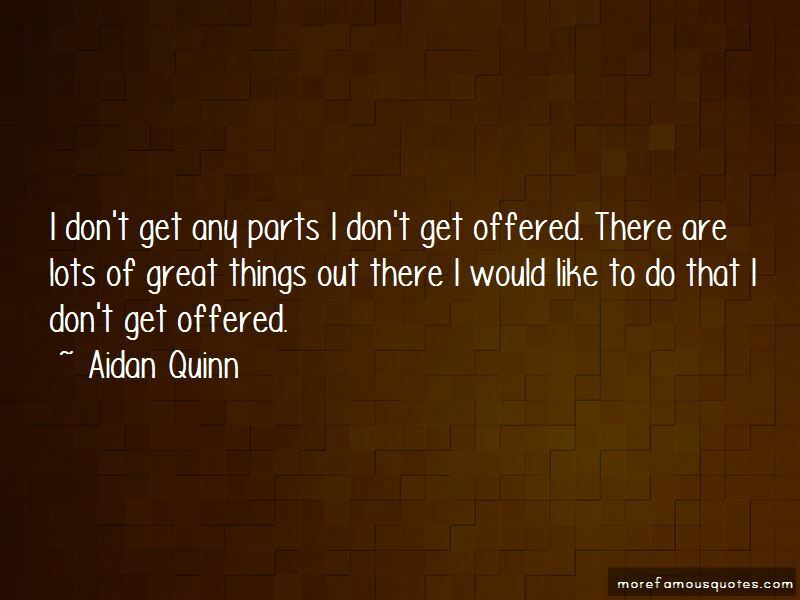 Click on image of Aidan Quinn quotes to view full size.